Please pick up your 2016 Giving Statements in the Narthex. I want to remind everyone that our all-parish annual meeting is coming up soon. We will have one service in the morning at 9:30 a.m. on January 29, followed by the annual meeting downstairs in the parish hall (please note also, that there will be no evening service that day.) I hope you will all be able to attend, as we review our budget for the coming year, and elect delegates and alternates to Diocesan convention to replace those that have served their terms. We will also be welcoming our incoming vestry members elected last September, and thanking our outgoing vestry for their service, as they finish their terms on that day. Still Time to Make Your Pledge! As the Vestry begins to formulate its 2017 budget, there is still time to make or increase your pledge of support to ensure that all our important ministries continue. While the needs remain great in our community, we want to take time to thank all of those who participated in our Outreach Ministries in 2016. Thank you for your gracious donations of food, clothing, and financial support. Because of your donations of time, we were able to have events like the October HOME Suppers, the St. James Thrift Shop, and the Angel Tree Gift Program. You have left a positive mark on your community. 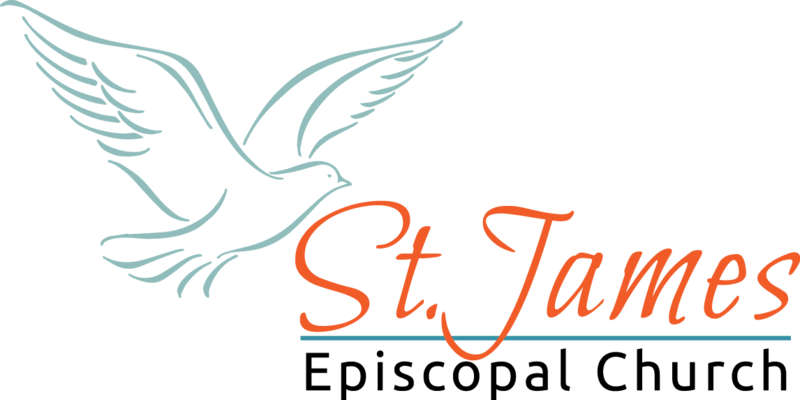 In 2017, with God’s help and your prayers, financial support, and participation, together, we can grow St. James’ Outreach Ministries so we’re able to touch the lives of even more people in our community! • Helping clients with food from the St. James food pantry. St. Mark’s Cathedral’s fourth annual film series explores questions about the Middle East such as: Who counts in a refugee camp? Who counts in West Bank settlements? Who counts among marginalized groups? Can we live in a world where everyone “counts?” These Wednesday night screenings begin at 7 p.m. in St. Mark’s Cathedral’s Skinner Hall at the north end of Brightwater Academy Building (1501 10th Ave East, Seattle, WA 98102). Dates are: Jan. 25, Feb. 1, 8, 15, and 22. The film series is open to all. Betty Riches memorial service will be held on Saturday, February 4 at 5:30 p.m. To honor Betty, because she loved a “good potluck,” please bring a dish to share for the reception following the service. On Saturday, February 25 (9:30 a.m.–3 p.m.), St. Columba’s Episcopal Church in Kent will host the “Faith at Home” workshop. This one-day event includes a keynote speaker (Wendy Claire Barrie) and three workshops showing parents how to cultivate their children’s faith at home. D Bracher will lead an “Icon Making” workshop. Cost is $25 and includes lunch. Free scholarships available. You can register here. Corky & Tori Corcoran give this Sunday’s Altar Flowers in thanksgiving for their twenty years at St. James.